Parents often wonder about the best way to dress their children for sporting activities. Each sport is different. For example, the correct outfit for football is very different to the correct outfit for dancing, soccer and athletics. Many parents new to learn to swim ask us questions like “what should my child wear to swimming?” and “what do all of the other children wear?”. There are many different options for swimwear and accessories for swimming lessons. Here are our suggestions for swimming attire for lessons. Young swimmers who aren’t yet toilet trained must wear a swim nappy. 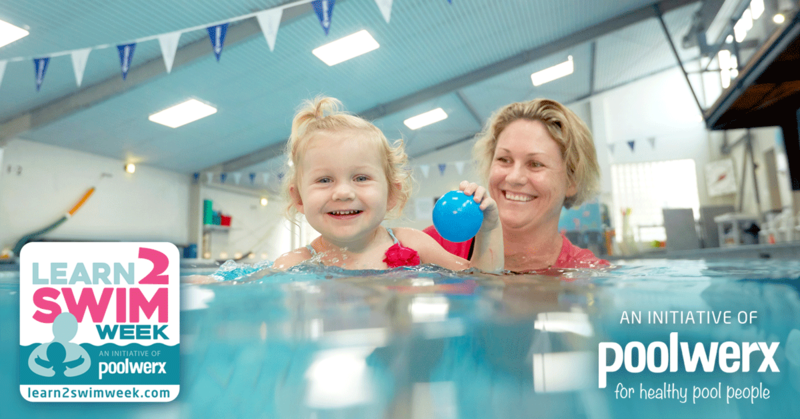 Swim nappies make life easier for parents attending lessons. They work just like a regular nappy and are designed to be submerged under water. Regular nappies will fill with water and swell up. They also become heavy and will weigh a child down during lessons. Swim nappies are designed to contain ‘accidents’ until the nappy is changed. They also help us with water filtration and the cleanliness of our swimming pool. Single use nappies can be purchased from our swim shop for $2.50 and thrown in the bin after each use. We also have reusable swimming nappies for $25.00. These have a plastic lining and cloth outside. These reusable nappies can be emptied, washed out and reused each swimming lesson. Swimwear should be comfortable, but try not to dress your swimmer in too much clothing. Board shorts are better suited for the beach rather than swimming lessons. This is because lots of material tends to get in the way and weigh swimmers down, making it harder for them to swim. The same applies for swim shirts. They are great for sun safety when you are swimming outdoors, but they are not needed when your child is doing their swimming lessons indoors. If swim shirts are too loose, they make it hard for children to move their arms effectively. As a general rule, tighter swimwear is better for children when they are learning to move through the water at swimming lessons. For the girls, 1 or 2 piece swimwear is suitable. For the boys, underpants shaped swimwear or bike pant length swimwear works well. We recommend that caps should be worn in swimming lessons when your child’s hair is long enough to get in their eyes. You can buy two different styles of cap from our swim shop. One is rubber, and the other is lycra. Rubber swim caps are mostly worn by older swimmers and slide on over the child’s head. They usually come in a standard size and stretch to fit over the swimmer’s head. Hair can be tucked up inside the cap, so it doesn’t drag down behind the swimmer, or get in their eyes during the lesson. Rubber caps can pull longer hair as they are placed on the head if you try and rush putting it on. These caps are great for keeping hair or ears dry (when combined with earplugs/earbands) and come in many different brands and colours. We have a wide variety of rubber swim caps for sale at the swim shop. Lycra swim caps are often easier to slide onto smaller heads as they tend to slide on more easily. These caps don’t keep hair dry, and they tend to stretch and lose their elasticity with age. They are quite easy to put on and don’t pull hair as they go on. They should be washed and hung out to dry after the lesson to keep them in good condition. There are many different types and styles of goggles available at our swim shop. Goggles are an essential item in any swimmer’s equipment bag. They have an important place in learn to swim, however, they should not be relied upon heavily in the early stages of learning to swim. It’s important to remember that if children fall in the pool, they may not be wearing their goggles. Children should continuously practise some swimming without goggles in their lesson or during play time. We’ve answered some common questions about goggles in a previous article, which you can read here. What should I wear if I’m participating in swimming lessons with my child? We tell parents who are participating in our babies lessons to wear whatever they feel comfortable in, as well as a loose fitting shirt. In our babies program, we teach the children to reach and grab for an adult or a wall. A loose fitting shirt is easy for babies to grab onto and learn this important skill.